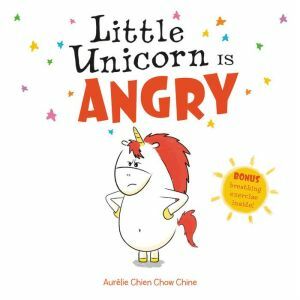 This distinctive series about coping with strong feelings integrates a breathing exercise right into the story--making this book perfect for those seeking practical tools to manage anger and temper tantrums. Little Unicorn's rainbow-colored mane is magic--it shifts to a single color when he's feeling a particularly strong emotion. It seems like a storm comes over him when he's angry, and his mane turns bright red. But when he repeats a special three-step breathing exercise, the clouds clear and his rainbow returns--and if he ever feels angry again, he'll know just what to do. With simple, accessible artwork and the universal character appeal of unicorns, each How Do You Feel Today? story allows children and caregivers to talk about and work through specific moods.